Is it time to recharge, refuel and finally rejuvenate? 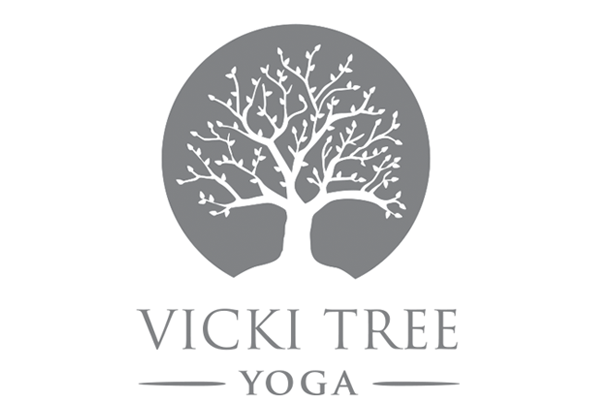 Vicki Tree Yoga, offering warm yoga, will do just that. The classes are offered in my home studio in Horseshoe Valley at 53 Fairway Court. This spacious studio holds 12 people comfortably and has heated floors and a fireplace, giving the space a “warm” comfortable feeling. We offer both drop-in classes and 6 week sessions. A wide variety of classes are offered including Vinyasa Flow, Happy Hips Deep Stretch, Energize Flow, Stretch and Flow, Restorative, 50 Plus Yoga Gentle Hatha, Yin/Yan Restorative, Deep Tissue Release and Power Vinyasa Flow. Class descriptions can be found below. Classes run from Sept – May each year. In Spring of 2020, the studio will move to its new location in a rustic commercial plaza in Horseshoe. Please horseshoeplaza.com to learn more. For the month of March there will be drop-in only classes at a reduced schedule. Click on the link below to sign up on the google doc. Classes offered: See the above calendar. The following will be some speciality classes offered over the 2019 year. Inquire today via email. These are found on the drop-in google sign up doc for each session. Parent/Child Yoga Deep Stretch: ($15 for the pair) Focus on breathing and soothing deep stretches to unwind and release. Very soft, slow paced class. Child Yoga (12 and under): ($10 for child) Incorporates breathing techniques and energetic movement to release tension and stress in a playful, mindful way. Introductory Yoga – 6 week session introducing you to yoga in a safe, comfortable setting. Baby and Me Yoga: Bring your baby and combine bonding time with a deep stretch and release. Yoga Tune Up Balls Explorative Classes: Using various asanas, tune up balls and knowledge of proper ball placements and rolling techniques, this class will focus on deep tissue release. This beautiful release will leave you feeling relaxed and unstuck both in the mind and body. Couple Deep Stretch Yoga – Bring your partner to class for a soothing deep stretch in an non intimidating setting! Details: This specialty class includes YIN (deep stretch) coupled with yoga tune up balls and restorative postures. The main focus will be on deep tissue release and relaxation preparing you for a restful sleep. Most of the class will be spent lying or seated on our mats. It’s the perfect class after a long weekend of an active lifestyle. The studio is located in my home at 53 Fairway Court. It holds 12 people comfortably and has heated floors as well as a fireplace giving the space warmth. See you on your mats soon! Flow and Stretch: A 60 minute yoga class designed to have a deep, slow, thoughtful pace for the stretch portion of class along with breathing focus. This is followed with a flow sequence that introduces foundational postures, emphasizes key alignment and energizes the body. A basic flow will be interwoven with various asanas that will help to enhance flexibility and calm the mind. This well balanced class will strengthen, stretch and rejuvenate your body in a pace that suits your needs. This class is suitable for all levels. Restorative: This 60 minute class is designed specifically for you to slow down and refresh after a busy day. The focus of the class is around BEING instead of doing. This restorative class will use props to support the body in positions of ease and comfort to facilitate relaxation and health. Most postures will be on the mats, using the floor as another supportive tool. Each asana (pose) will be held for about 5 minutes (with little use of your muscles as the props will be positioned in a way for your body to totally relax). This will allow your body to release tension and with the help of gently guided breathing, you will be able to manipulate your nervous system in such a way that it will calm and soften. ENERGIZE Vinyasa Flow: Using creative sun salutation sequencing, this 75 minute class moves you from one posture to another seamlessly using your breath. During this practice you will create heat and rejuvenate from the inside out. Various postures including standing, seated, inversions and balancing will be explored coupled with a deep stretch at the end of class. This is an all levels class with a focus on alignment whereby beginners will safely learn the basics while more experienced students can take postures to a deeper level. Vinaysa POWER Flow: This strong 75 minute powerful flow class energizes, rejuvenates and provides you with a vigorous approach to finding a connection from within by connecting breath to movement. A series of asana flows coupled with sun salutations leaves you refreshed and transformed. During this energetic class you will breathe, balance, strengthen, twist, invert, stretch and go deep within your core. Although there is a strong powerful flow section, the class begins and ends with deep stretches, providing a whole body breath yoga experience. This class is suitable for those familiar with the Vinyasa Flow class and are keen for more. Happy Hips Deep Stretch: This 60 minute class is designed specifically with your hips in mind. Following a Hatha/Vinyasa style class, the postures are designed to open, align and relax your hips. Runners, athletes or people who stay in one position for long periods of time will especially benefit from this sequencing. A combination of YIN and Yan postures will be used to move, stretch and relax those tight areas, benefiting not only your hips but your back as well. The class is designed to move and stretch the hips in all 6 directions that they naturally move/stretch using a series of asanas stretches, breath and movement will be used to relieve and rejuvenate the hips. This is an all levels class. Yin/Yan Restorative: This 60 minute peaceful quiet class uses long passive holds for deep stretches that go into your connective tissues (joints, bones, cartilage, ligaments, tendons) to help improve your overall mobility and range of motion. Using your breath and various props to find the correct alignment coupled with a gentle encouragement to relax your body, the force of gravity will be used to assist you with your stretch. This practice of advanced awareness calms the nervous system and your mind while supporting and preserving joint bone and connective tissue health. Although this class is mostly YIN based, there will be a few Yan postures used at times to compliment the overall practice. This class is suitable for all levels. 40 Plus Gentle Hatha: This 60 minute class is designed specifically for those with an experienced body/mind of 50 years plus. Using carefully selected asanas (postures), proper alignment cues, modifications and awareness of any aches/pains, the class will focus on working on improving flexibility and strength at a safe pace that suits you individually. Bolsters, the wall. blocks and other prop items will be used to help with proper alignment. Focus will be on releasing the hips and reducing tension throughout our bodies while working on finding calm and peace within our hearts/minds. Introductory Yoga: This class is perfect for the person who is new to yoga or needs more guidance to become comfortable exploring the asanas, breathing technique and inner calm in a safe setting. The instructor will guide you through a class, with time set aside to discuss names, alignment and tips during the class. Perfect class for the beginner or someone weary to come back to their mats. This class is suitable and open to beginners only. Prior to the 5 week session beginning, if you know in advance that you will be away or working I can accommodate the situation as long as it is before the session begins and the class is not FULL. For example, if you are away one week and the session class is not full then we can arrange payment for the remainder classes – not a problem and I am happy to do this. Last minute changes of schedules, children sick and so forth will not have make up classes once the session begins. With over 100 people coming through my doors, it is very difficult to manage all requests and unfair for me to pick and choose what is acceptable. For all drop-in classes, there is a strict 24 hr cancellation policy. If you cancels within 24hrs of the class, you will be charged for the class.